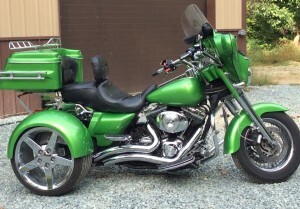 Poppa Bear Custom Cycles is your trusted custom motorcycle shop serving northeastern Maryland and south central Pennsylvania. We specialize in custom motorcycle trike conversions and custom painting, but provide a wide range of services to our customers. We offer discounts for veterans and tax advantages.